Remodeling a Henry Hester Classic - GDC Construction, Inc. The client wanted to completely renovate this home, designed by renowned midcentury San Diego architect Henry Hester, without losing the structural integrity and aesthetic elements of Hester’s original design. 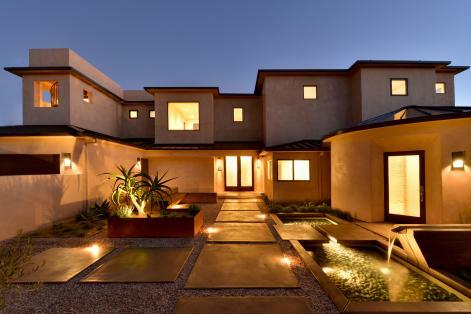 Some of the unique features of the home include a copper fascia that runs around the exterior of the residence and full-height doors, with no jambs, throughout the home’s interior. GDC Construction completely renovated the home, updating it extensively while protecting the integrity of the original design. 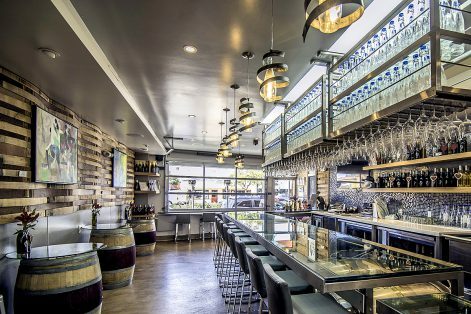 We replaced all the existing glass with tempered glass panels for safety, which were craned in, and redesigned the home’s lighting, installing ambient LED lighting in strategic locations to enhance the residence’s excellent natural light. 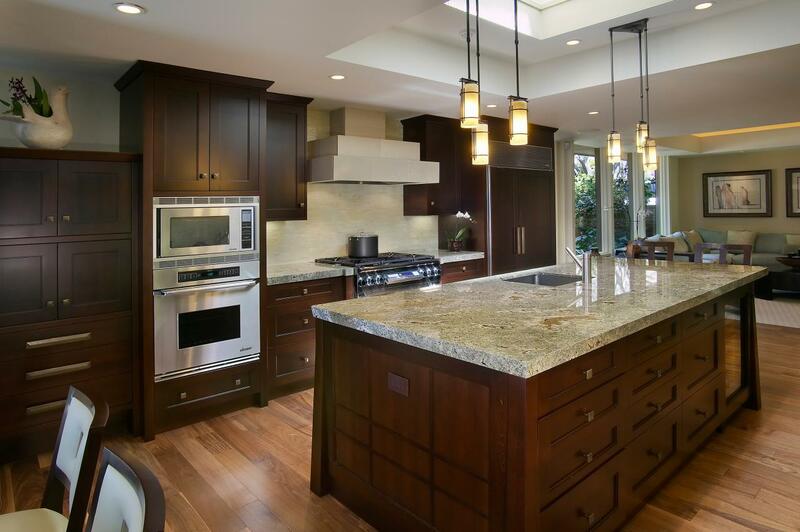 We also overcame a tricky design challenge in the kitchen, where the client requested a skylight above a central island. We built the skylight at an angle from ceiling to roof, giving the illusion of a central island while working within the structural framework of the home. 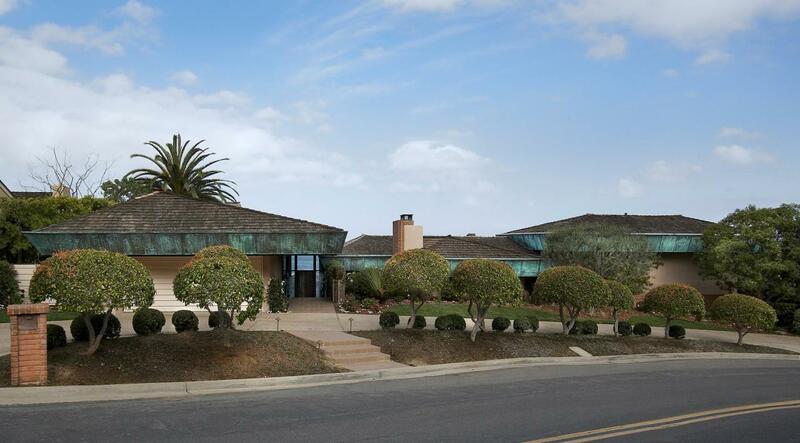 The completely redesigned home maintains many elements of the original Henry Hester design. 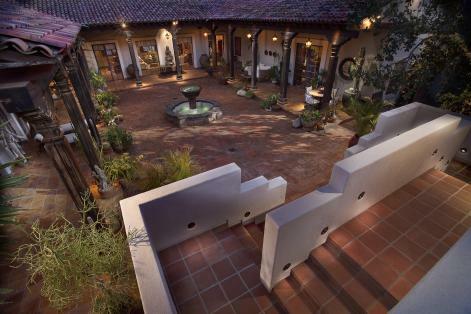 GDC kept and restored the existing brick, which runs through the property from outside to inside. 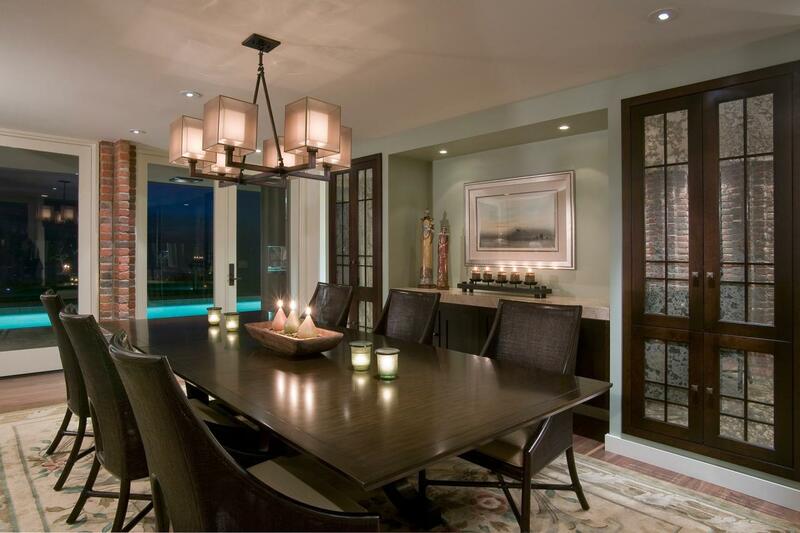 The dining room features custom-built cabinets with antique mirrors and a floating, built-in credenza. 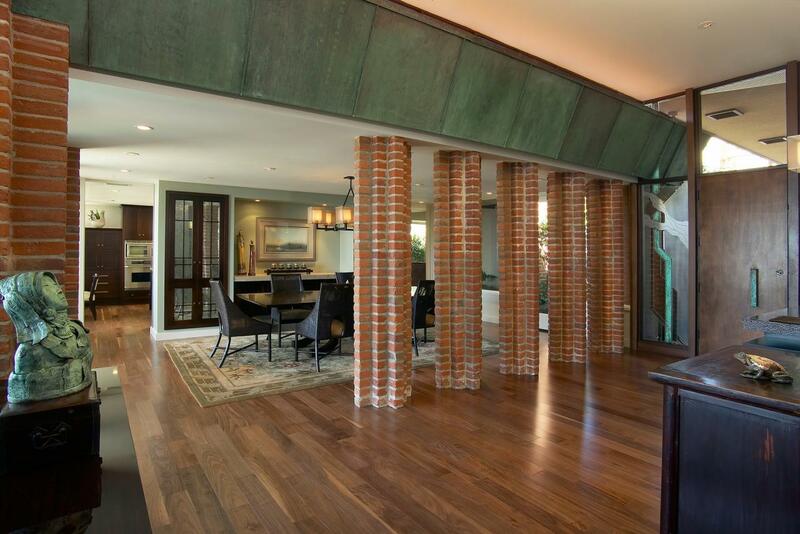 The brick from the original structure was maintained throughout the residence. 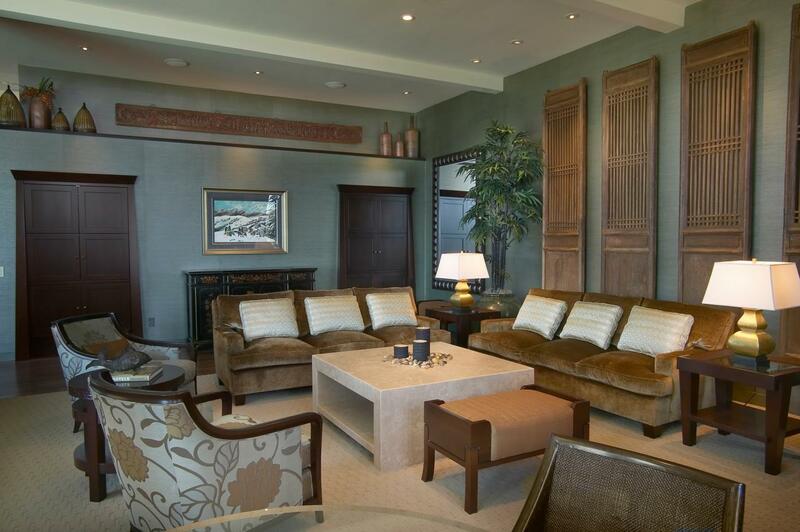 The living room is hung with antique wood carvings and has a “hidden” bar. The family room features floating shelving and a custom soffit with LED mood lighting. 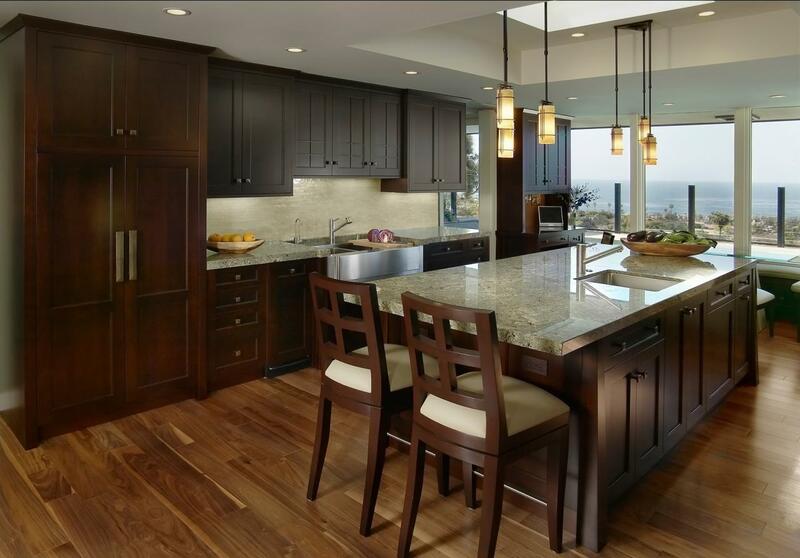 All of the cabinets in the kitchen are custom-made by Inplace Studio of La Jolla. The taper used on the central kitchen island and on other pieces throughout the home mimics the taper of the copper fascia on the outside of the residence. 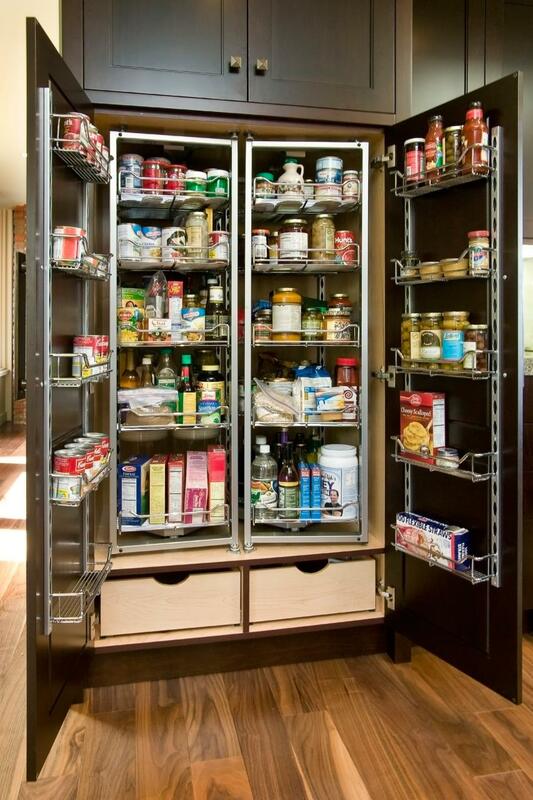 The home’s pantry has a custom organizing system. 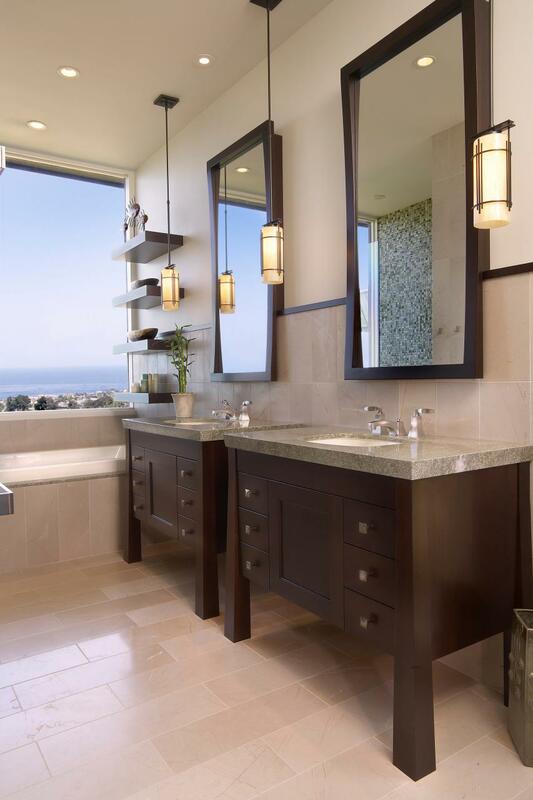 The master bathroom has radiant heating throughout the floor including the shower. 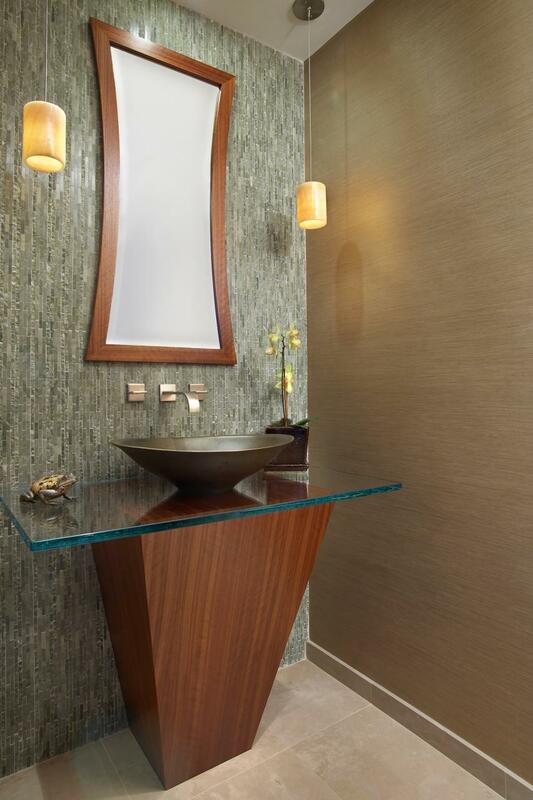 The guest bathroom has a custom cabinet and glass top with vessel sink. The little details make all the difference. 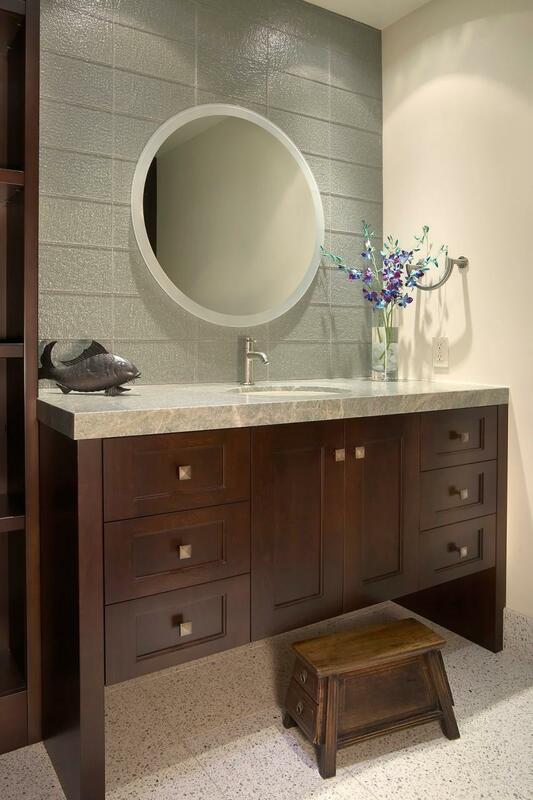 In this children’s bathroom, we sourced a stool that matches the cabinetry and slips easily under the cabinet. 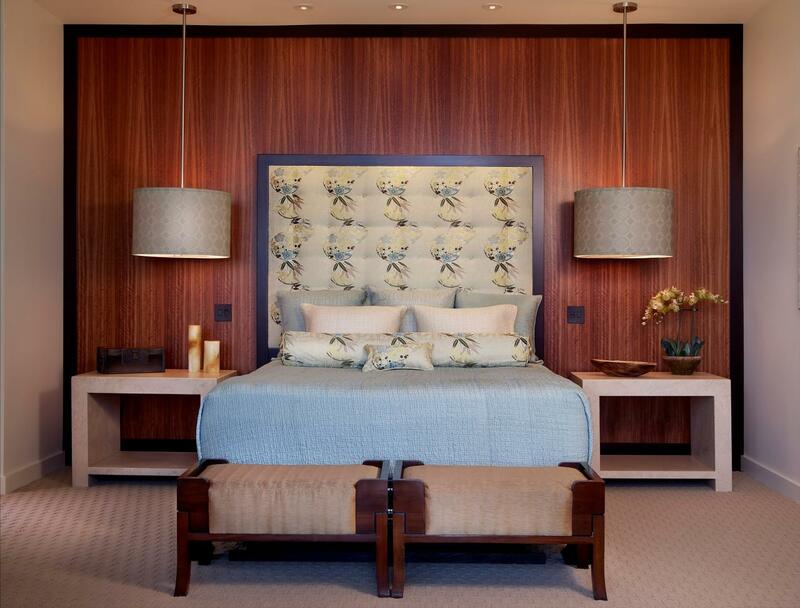 The master bedroom features a custom bed and continues the Asian motif found throughout the home. 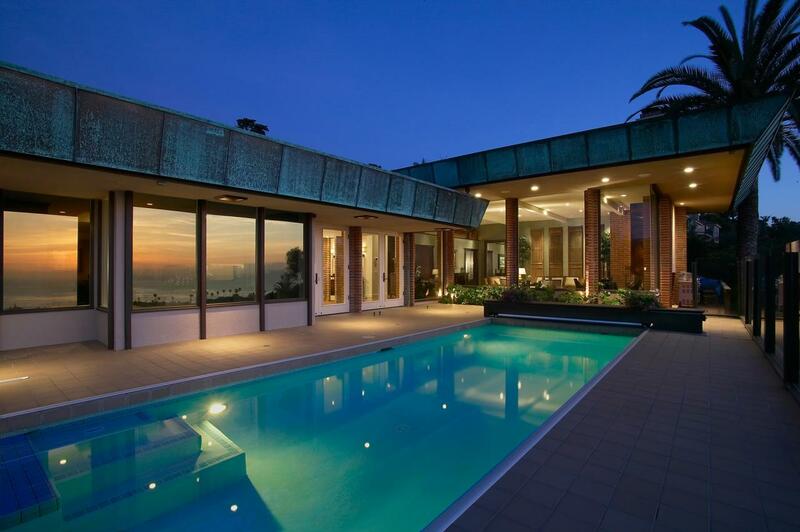 The pool was refinished to reflect the original design and the copper fascia was maintained across the entire exterior of the residence. Check your email to confirm signup! © 2019 GDC Construction, Inc.